James Arthur Hill was born on 22 October 1923 in Lancaster, OH. Orphaned at age twelve; he worked his way thorough, and graduated from, St. Mary's High School in 1940. He was working his way through Ohio State University when World War II began. He was inducted into the U.S. Army in January 1943 and through aviation cadet training received his pilot wings and commission as a Second Lieutenant in the U.S. Army Air Forces in February 1944. He subsequently qualified in multi-engine aircraft. During World War II, Hill flew 31 European Theater combat missions in a B-24 Liberator bomber while assigned to the 566th Bombardment Squadron, 389th Bombardment Group. After World War II, he served at various bases in the U.S. until 1949 when he was called upon to fly C-54 Skymaster aircraft in the Berlin Airlift. In October 1949, he was assigned to the Air Training Command at Lackland AFB, TX, where he served as a Basic Training Squadron Commander, and later as Executive Officer in the U.S. Air Force Preflight Training School. In April 1955, he was assigned to the Far East Air Force, initially as an Operations Officer with the 483rd Troop Carrier Wing and in May 1956 as Chief of Current Operations for the 315th Air Division at Tachikawa Air Base, Japan. Hill returned to the U.S. in June 1958 to fill a number of different positions in the Western Transport Air Force (now Twenty-Second Air Force) at Travis AFB, CA. From August 1960 to July 1961, he attended the Air War College, Maxwell AFB, AL, after which he was assigned to Headquarters U.S. Air Force in Washington, DC, as an Operations Staff Officer in the Plans and Capabilities Branch of the Deputy Chief of Staff for Plans and Operations. In July 1964, he became Deputy Assistant Director for Joint Matters in the Directorate of Operations. From July 1965 to August 1966, he served as Deputy Commander for Operations, 1502nd Air Transport Wing (re-designated the 61st Military Airlift Wing) at Hickam AFB, HI. In September 1966, Hill was assigned to Headquarters Military Airlift Command at Scott AFB, IL, as the Director of Current Operations and later as Assistant Deputy Chief of Staff for Operations. In July 1968, he was re-assigned to Travis AFB as the Commander, 60th Military Airlift Wing. In March 1970, he returned to Headquarters Military Airlift Command as Deputy Chief of Staff for Operations. He returned to the Pentagon in March 1971 as Deputy Director of Programs. He became the Director in December 1971; was assigned as Assistant Deputy Chief of Staff, Programs and Resources in May 1974; and assigned duties as Deputy Chief of Staff, Programs and Resources in July 1974. In June 1977, Hill became Commander-in-Chief, Pacific Air Forces, Hickam AFB, HI. 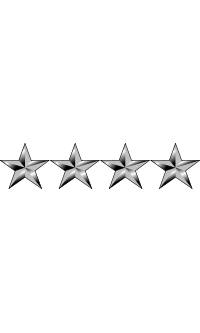 On 1 July 1978, Hill assumed duties as Vice Chief of Staff USAF and was promoted to the four-star rank of General on 10 July 1978. 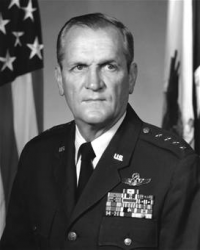 General Hill retired from the Air Force on 29 February 1980. He was rated a Command Pilot. In 1981, Hill joined Bell Aerospace Services, Inc., Bedford, Texas, as Vice President. There he was instrumental in the development of the V-22 Osprey. He left Bell in 1983 and he and his wife, Jeffie, moved to San Antonio, Texas. 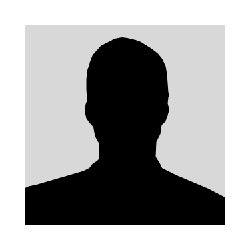 He served on the Board of Directors of the Kelly Field Bank and was a long-time member of Oak Hills Country Club. James Hill was a man of keen intellect, indomitable will, great integrity, tremendous strength of character, great sense of humor and an avid golfer. General James Arthur Hill died on 1 October 2010 after a long battle with myelodysplastic syndrome. He is buried at Arlington National Cemetery in Arlington, VA. He was preceded in death by his daughter, Barbara. He was survived by his loving wife, Jeffie.